In this issue: a space navy on the brink of dissolution, a reluctant diplomat, and a classic re-formed. All that plus two new stories, a fantasy by David B. Coe, and a science fiction tale by Robert Buettner. Powerful forces in the young Star Kingdom of Manticore’s Parliament are agitating for the dissolution of the Royal Manticoran Navy. But the universe can be a far more dangerous place than they think, and they’re about to find out why they need the RMN . . . and how very fortunate they are that a young lieutenant named Travis Long is in it. Sequel to A Call to Duty. Get A Call to Arms eARC now. Caine Riordan has come through fire unfazed. Now, on a diplomatic mission to the very alien worlds of the Slaasriithi, Caine must nurture a crucial alliance for the fledgling Consolidated Terran Republic. But Caine isn’t the only one journeying into the unknown reaches of Slaasriithi space. A renegade group with the intention to destroy humanity’s hopes for a quick alliance is on his trail. Caine Riordan must once again step into the fire. Sequel to Nebula award nominated Trial by Fire. 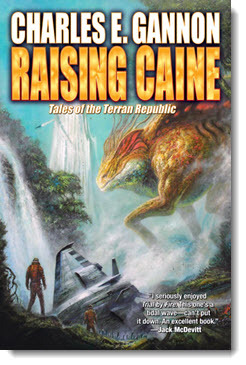 Get Raising Caine eARC now. Libya, 1970: Muammar al Khaddafi has recently overthrown the government and instituted the Libyan Arab Republic. The region is unstable—and so are oil prices. Fortunately the Marathon Oil Company has a contract to drill beneath the desert sands. But what they find may be far more precious than any black gold. New fiction from the author of the best-selling Orphan’s Legacy series. Read “The 100 MPG Carburetor and Other Self-Evident Truths” by Robert Buettner here. 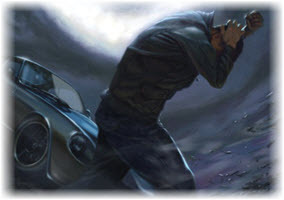 Private Investigator Justis Fearsson comes from a long line of weremysts. Like his father before him, Justis wields powerful magic, but this gift comes at a price: when the moon is full, Justis goes insane. That’s why when it comes time for a father/son camping trip to Sonoran Desert National Monument, Justis waits for the new moon. But what begins as a run-of-the-mill vacation soon turns ominous. A new short for modern tastes story from David B. Coe, set in the Casefiles of Justis Fearsson universe. 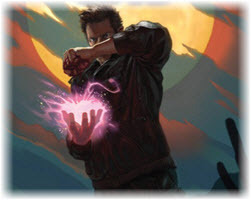 Read “New Moon Wolf” here and check out the first Justis Fearsson novel, Spell Blind, here. 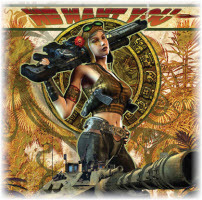 When Jim Baen acquired the reprint rights to the classic YA novel The Fire-Hunter by Jim Kjelgaard there was only one problem: the novel was much too short for modern tastes. Enter David Drake. 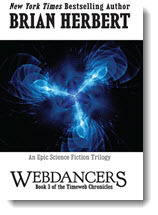 Tasked with expanding the book, Drake transformed The Fire-Hunter into a new novel altogether. Read how The Fire-Hunter became The Hunter Returns in this month’s nonfiction essay by best-selling author David Drake. Read “Slaughtering Early Humans for Fun and (a Slight) Profit” by David Drake here and check out The Hunter Returns here. 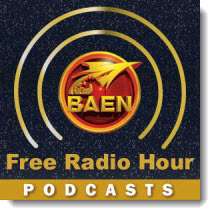 Coming soon to the Baen Free Radio Hour: David Weber on new epic fantasy Nofressa series entry, The Sword of the South; Sharon Lee on A Liaden Universe® Constellation Volume 3; and David B. Coe discusses His Father's Eyes, book two in his Case Files of Justis Fearsson contemporary fantasy series. Missed past episodes? No problem. We’ve got every episode archived for your listening pleasure. 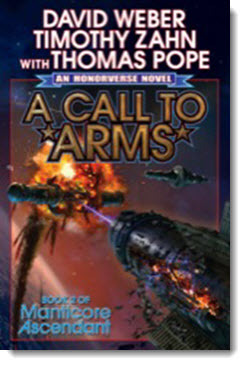 David Drake is a master—of military SF, of space opera, and of fantasy. Now, top writers pay tribute to Drake with all-new stories set in the worlds he created. Includes new fiction from Eric Flint, Gene Wolfe, Larry Corriea, and many more. Plus, a new Hammer’s Slammers story from the master himself. Meta-human Red Savior has a plan to defeat ECHO once and for all: risk everything to find the Thulian Headquarters in a dangerous gambit that will either end with the world in flames—or victory! When the time projector hurled Leo Thrasher 500 years into the past, he didn’t expect to find that he’d need the skills he’d learned on his college fencing team; or that he’d meet a woman he loved more than life; or that he’d be at the heart of the battle which decided whether the Turkish Janissaries would sweep over Europe. Three novels of Sherlock Holmes’ smarter brother, Mycroft Holmes, authorized by Dame Jean Conan Doyle and written by Chelsea Quinn Yarboro and Bill Fawcett under the name Quinn Fawcett. As Sherlock tells Watson, his brother Mycroft is more than an agent of Her Majesty’s government—for all practical purposes, Mycroft is the government. Now, learn of the secret history of one of Conan Doyle’s most enigmatic creations. Paterson Guthrie, Mycroft’s secretary, accompanies his employer to secret negotiations with the Japanese. But many highly placed Englishmen do not wish to ally themselves with a people they consider inferior, and the Japanese are wary of close ties with a society they find increasingly hostile. A luxury train and the fastest way to travel between London and Edinburgh, has become the secret escape route for a European Prince who has narrowly escaped assassination at a royal wedding—an assassination intended to prevent the finalization of a treaty vital to British interests in Europe. Thomas Brock and Evelyn Love are attorneys who crusade for the rights of Other-Than-Humans: ghosts, gargoyles, vampires, and things that have not yet been given names. San Francisco’s OT element is sometimes malevolent, sometimes misunderstood, and often discriminated against. Brock and Love represent them, whatever the case, whatever the species. What if everything you knew about your life was wrong? What if your memories were fabrications? Carl Johnson must wrestle with his concept of self on a journey to discover his past and save his sanity . . . and maybe save Earth in the process. After his brother’s assassination, a new Pharaoh must take the throne and battle the corrupt and violent priesthood. His name is Tutankhamun. When galactic ecologist Noah Watanabe discovers the cause of a strange, cosmic disintegration, he embarks on an epic journey to restore the ancient balance to the crumbling galaxy. The web is unraveling, threatening to plunge the universe into oblivion. 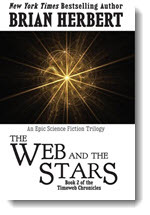 Galactic ecologist Noah Watanabe is struggling to hold the cosmic filigree together, while the evil shapeshifter race of Mutatis threatens to use a doomsday weapon against humanity. 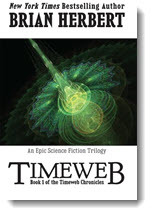 As the human race and the sinister shape-shifting Mutatis continue their epic war, the connecting filigree of Timeweb strands that hold the universe together, begins to unravel.